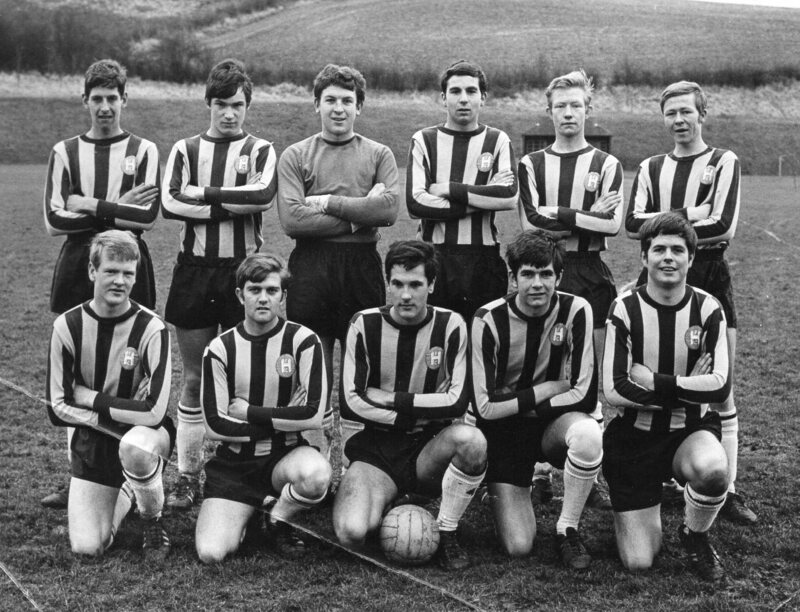 Hangleton Football Club played in the Sussex Sunday League Division 3 for the first time in 1963. The team was originally formed by boys from the Nevill County Secondary School. They were successful in winning Division 3 in their first season and that year they also reached the final of the Sussex Sunday Cup losing by the odd goal to Piddinghoe. They were promoted to Division 2 the following season and were again successful in winning the League. By this time the club had now attracted players who did not originate from the Nevill School. The photograph here shows the boys who represented the club in that Sussex Sunday Cup final. Hi Ken, the photo brings back so many fond memories. I can still name all the lads in it! Wish I could turn the clock back and re-do it all again, I am sure we would win the cup this time. Hi Ken – it’s been a while. Doesn’t everyone look so young in that photo! We certainly had some fun with that team. Hangleton FC did manage to win the Sussex Senior Cup some years later when John Keehan was running the side – I played in goal that day and we beat Whitehawk 4-3 at the Dripping Pan. Where has the time gone? Ken – it would be good to meet up again. I live in Devon now but next time I come up to visit, I’ll ask Bob to let you know. We usually land up at the Stanley for a pint. Micky (Wade) I must get in touch with Bob as I have not seen him for some time. I do see Tony from time to time. I still go fishing with my son Graham but he has now moved to Kent so I have lost my fishing buddy. I understand Bob now runs a lake in Small Dole along with Tony so I hope they have some large Carp. Mary and I are driving down to Cornwall next Saturday so will be passing through Devon on our way. I hope to see you soon back in Sussex. Regards Ken Hill. Happy memories of playing for Hangleton and their fierce rivals Alpine Rovers – a bit like playing for both Rangers and Celtic. The days when there were 13 Sussex Sunday League divisions and thousands playing football on a Sunday. I think there are only about three divisions now.